When producing Keith’s large prints, we go to considerable lengths to produce just the image he is looking for. The balance between light and dark areas, and the correct colour range is vital. It is not easy to reproduce this with small images on a web site, no matter how much care we take.. The web versions of our images are smaller and less detailed, but the biggest variable is how you, the viewer, have your computer screen set up. Many people never adjust their monitor’s brightness and or contrast settings, and we know that any talk about monitor calibration or monitor profiling, still leaves many photographers and graphics professionals confused. In an attempt to help, we have some free test images here that we hope you can use to enhance your viewing experience… We also have articles explaining what to do if your prints are too dark and why your prints don’t match your screen. Take these first few steps and your whole web viewing experience should benefit. Have a look at the test images below, they are designed to help you adjust your screen to display images more accurately*. You may find that your monitor looks somewhat odd after adjustment, especially if you needed to change it a lot. This effect is quite normal and you will soon get used to it. The controls on your monitor may be physical adjustment knobs, or a menu may appear on the screen (this is produced by the monitor itself, so the mouse won’t work with that particular menu). *Note: Basic monitor calibration is not difficult, but if you are not happy with changing settings on your machine, it is always best to ask someone who knows how to do it first. A well set up monitor should enhance your viewing of most sites. Incidentally, it’s never a good move to adjust someone else’s monitor without their permission. The strip shows a range of greys from pure black to pure white. You should be able to see a clear difference between each shade of grey, ranging from pure black (left) and pure white (right). Along the top of the strips are alternate patches of black and dark grey. If it looks solid black to you (look very carefully), your monitor’s brightness is too low. Increase it until you can -just- perceive the difference between the grey and the black squares. Note that this test is actually just making sure you can see shadow and highlight details and is no way to set maximum brightness accurately – Ideally you need a hardware calibrator for this. Newer LCD monitors are much brighter. If you have them too bright, then photos may look just fine but you find your prints look too dark. Ours are set to roughly 40% of maximum. With LCDs the basic brightness setting is the one you want, whilst with older CRT monitors, you may need to alter the contrast setting to alter overall brightness. Reduce your room lighting and try to avoid reflections in the monitor. This is most important when editing photos to print. If your room is too bright then you will probably have the monitor too bright, which leads to the dark print problem above. Set the monitor to display “millions of colours” or 24/32 bit and preferably been switched on for at least twenty minutes. If your web browser allows you to use colour management, set this option on (if this means nothing to you, please ignore it, or look at some info on our Web Colour Management page). A detailed explanation of what the brightness and contrast controls do. Monitor calibration ideally needs hardware measuring devices and some attention to room lighting and decoration. Keith uses various hardware and software for calibrating and profiling his laptop and desktop computers (see his Monitor calibration equipment reviews and articles). There are a range of cheaper and very effective display calibration devices that have come on to the market in the last few years – Keith has reviewed most of them on this site and is always happy to answer questions. 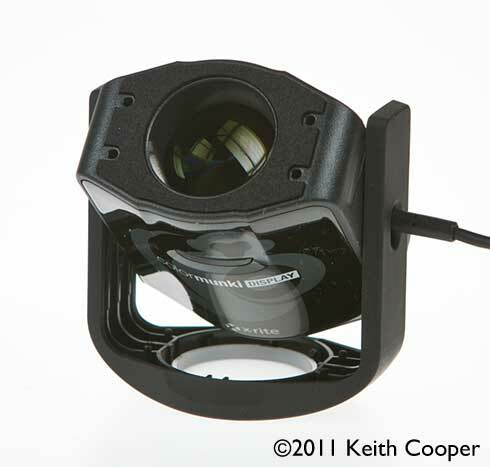 As of 2015 Keith is suggesting the Spyder5Express or ColorMunki Display as the best of the cheaper options. If you adjust your screen using the patterns above it’s sometimes possible to get a noticeable improvement for free, but if you are serious about photography, a good calibrator is around $100. The ‘by eye’ process above, was originally published here for viewing the Black and White images in Keith’s print gallery, and as such, leaves colour balancing out. If you have a Macintosh, try typing ‘monitor calibration’ into the Help Center, this will point you to the built in calibration features. If you want a slightly more accurate version, have a look at SuperCal which is a shareware application for Macs. 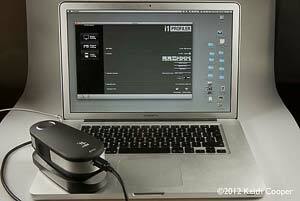 Do remember that for accurate colour work you should consider getting a hardware calibrator, such as the one shown connected to Keith’s laptop computer. Keith’s very simple guide to ‘what is colour management’. Is the red in RGB the same as a London bus, or a UK Telephone box? A very short explanation of what colour management is, and why you use it. Win XP SP2 Dual monitor profiling – A short note about some software that may help improve your colour management on Win XP systems. Includes link to free Microsoft software that improves colour management functionality for all XP SP2 systems. These features are standard in newer versions of Windows. Keith has written several articles on colour management, including an Introduction to Colour Management. For print colour management Keith has tested several products over the years, including the Spyder3Print , ColorMunki, and more advanced i1Profiler profiling systems. Northlight Images provides commercial photography services including colour management advice and training for organisations, which can include colour management.